What problem are you trying to solve with the use of 360 VR experiences? 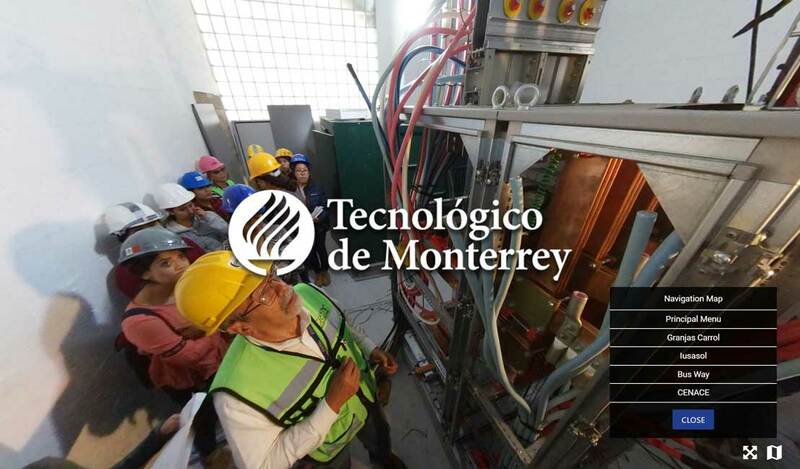 Tecnológico de Monterrey is changing its educational model, so students have a better understanding of the industry. In this particular case, we worked with Clean Energy students, where they could pay visits to different clean energy generators, such as wind, sun and biogas energy. Unfortunately, most of this generators are far from the city, and the students wouldn’t always be able to make this visits, so we needed a way to show them the locations, as if they were there, without the need to make long, expensive trips. This is where Viar360 goes into action. How did Viar360 help you in solving those problems? We were able to take spherical pictures and then use them to recreate all the visit in Virtual Reality with the help of Viar360. Some of the trips would be too expensive even to be considered, so for this cases, we would go on our own, take the pictures and recreate the sites, and this way, the students, could make the same visit as if they were there. Viar360 has been a great tool to tackle this challenge. What’s great is that you can also improve the virtual visits by adding additional information over the photos, so the students can explore all the elements without interrupting the virtual visit. What would Tecnológico de Monterrey like to achieve with immersive technologies? What we’d like to achieve is that, at some point, we have a virtual library of clean energy generators recreated in virtual reality with Viar360. The students could then use this library to inspect and interact with the generator systems, so they don’t need to invest so much time and money in making physical visits. The emergence of clean energy generators is a consequence of governmental changes in the Energy Laws in Mexico. Because of these changes, there is a pressing need to certify more people who could work in this field and successfully execute tasks like verifying correct electrical installation and similar. We also see a future where an intern or a professional in training could make the visit, recreate the site in Virtual Reality and share it with the person who actually has the authority to inspect and verify the locations. This way, the intern can train himself in the field, while the verifier tells him what to pay attention to, without being physically there. Start your free trial of Viar360! Javier Ochoa @ Tecnológico de Monterrey. Tecnológico de Monterrey is a private multi-campus university based in Monterrey, Mexico. Founded in 1943 by industrialists in the city of Monterrey, ITESM has since grown to include 31 campuses in 25 cities throughout the country, becoming the most recognized university in Latin America. It was the first university to be connected to the Internet in Latin America and the Spanish-speaking world, having the top-ranked business school in the region according to the Economist and being one of the leaders in patent applications among Mexican universities.